By next year, another 15,000 specialists may be required as fields such as cyber security, data analytics and application development clamour for more professionals, the IDA said. This means that Singapore may find itself short of nearly 30,000 information technology professionals. Small and medium-sized enterprises said they are already struggling to find IT specialists. Singapore-based mobile development firm BST Consulting, for example, has more than 100 developers in five cities around Asia, working remotely for the company, but only seven in Singapore. Its chief executive Paddy Tan has been battling the big boys for this limited talent. "We are fighting for the same pool. Even fresh graduates can pick and choose because there is a shortage of such people." He said the crunch will worsen as companies such as Google go on a hiring drive here to recruit software engineers. Industry players said schools here have not been churning out enough IT graduates and sometimes they have been taught outdated skills. "When fresh graduates come to us, the coding languages they know have already been phased out," said Mr Darren Lee, managing director of Web-design company Fixx Digital. The crunch has pushed up salaries across the board. A developer with five years' experience can earn $7,500, while a fresh graduate can earn $3,000 or more. Still, there are not enough local job applicants. Out of every 20 applications Mr Lee receives, 19 are from foreigners. He has hired two Indonesians and three Malaysians and relocated them to Singapore. "The supply is so short that we can't afford to be selective. And we have to pay these inflated salaries," he said. The IDA is trying to ease the crunch. Its assistant chief executive Khoong Hock Yun said: "We work with companies to open up more opportunities (for them) to accept a greater number of polytechnic graduates." Several full-time diploma and degree programmes in business analytics were launched in recent years, in anticipation of the demand, he said. "The IDA is ramping up its programmes to focus on these key growth areas, by training fresh and mid-career industry professionals to help them acquire the skill sets," said Mr Khoong. But Mr Tan of BST pointed out that training students now will not help firms in the short term, as it will take at least three to four years before these students graduate. A spokesman for the Smart Nation Programme Office said Singaporeans can tap the SkillsFuture scheme to pick up the skills. 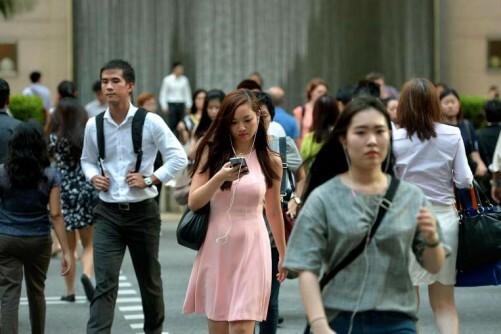 The spokesman added that human capital was a key part of the Smart Nation journey and building it up could open many opportunities for Singaporeans. "With the global digital revolution, talent is in short supply everywhere, not just in Singapore."